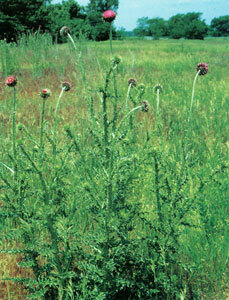 Governor Dave Heineman recently declared June as Noxious Weed Awareness Month. The proclamation recognizes the potential that noxious weeds have to reduce Nebraska's crop yields. "As producers, we must protect our crops and natural resources from non-native plants that have no value," said Nebraska Department of Agriculture (NDA) Director Greg Ibach. Noxious weeds compete with pastures and crops, reducing yields. 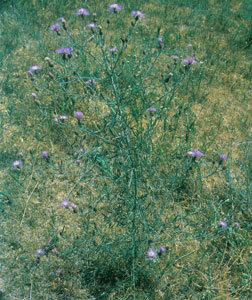 The weeds also can be poisonous or injurious to humans, livestock and wildlife. 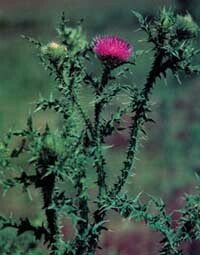 Nine weeds are currently designated as noxious in Nebraska, including: musk thistle, Canada thistle, plumeless thistle, spotted knapweed, diffuse knapweed, leafy spurge, purple loosestrife, saltcedar, and phragmites. 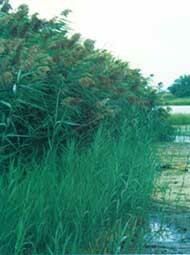 Ibach added phragmites to the noxious weed list under a temporary designation in April. NDA encourages Nebraskans to report any noxious weed infestations to their county weed control authority. 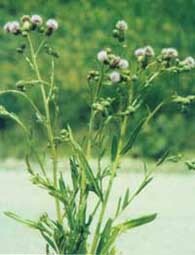 County weed superintendents are available to help identify noxious weeds and to assist with proper control recommendations. 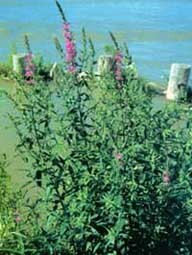 Effective noxious weed control is the responsibility of each person who owns or controls land. 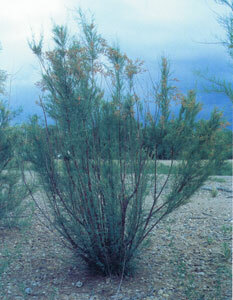 If infestations go uncontrolled, legal action is set in motion by the county weed control authority. For more information on Nebraska's noxious weed program, contact your local county weed control superintendent or Mitch Coffin with NDA's Bureau of Plant Industry at (402) 471-2394.